Club Penguin Cheats by Mimo777 Club Penguin Cheats by Mimo777: Club Penguin Prize & Game News! Woot! There will soon be new prizes at the Prize Booths at the Fair! It seemed with prizes taking fewer tickets to buy, it was very easy to earn the prizes this year. I am so ready for new ones! We previously posted that a puffle would soon be helping in a game and just as we suspected, the green puffle will be able to assist in Jet Pack Adventures. 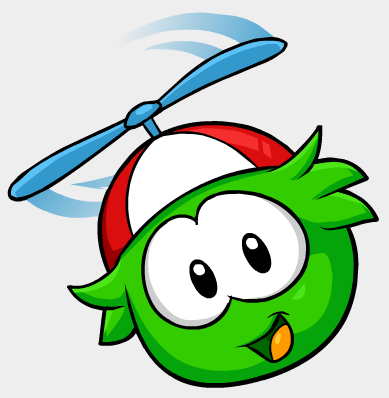 Club Penguin reports the green puffle can really put on a show at the Great Puffle Circus and feels the green puffle is ideal to help pilots. Here he is ready to help pilots! I hope there is gonna be a fuzzy pickle at the prize booth! What do you think the new prizes will be? Cooleo! 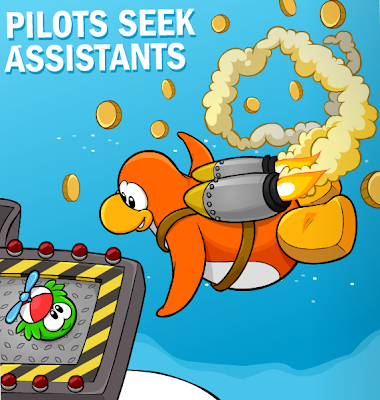 I always thought the green puffle should help in that game! It was always just so... so OBVIOUS! Well, For the prizes, i think there should be something NEW not a old item. MIMO MIMO!! i found this cool glitch, dance with a green hoodie and you'll turn old blue with no shoes! Hmm I there will be teddy bears of teddy rabbits! Or t-shirts! here's a suggestion for a new puffle. They should have a brown one thats clumsy and is very odd. it should have hands and juggle. lol. and I think that it should have glasses to see. haha. that would be cool.